Look forward to a luxurious city trip to Düsseldorf. 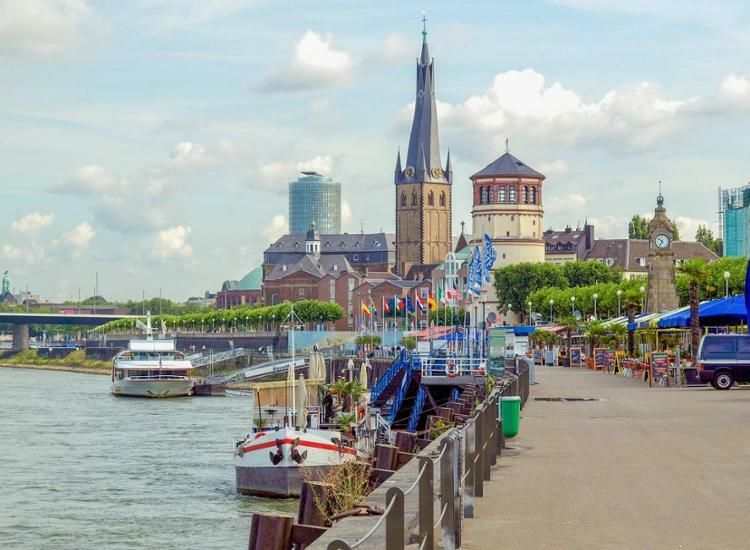 Düsseldorf offers exclusive shopping possibilities on the famous Königsallee as well as quaint restaurants and bars in the well-known and lively old town. 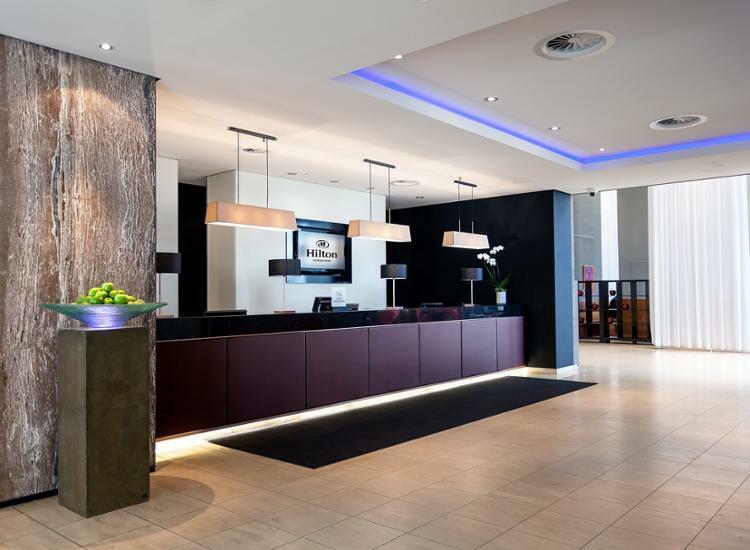 You will stay in the popular Hotel Düsseldorf which convinces with excellent service, elegant rooms, a spa and a 24-hour fitness area. The name Hilton has always stood for supreme comfort and excellent service. 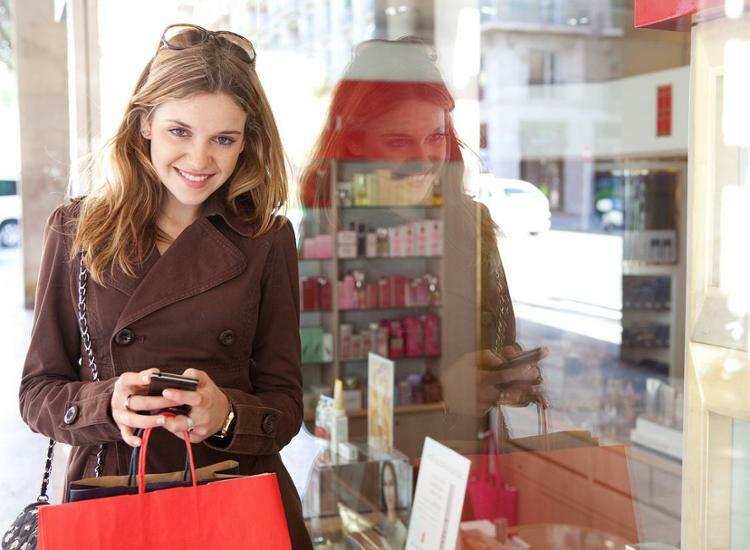 Spoil yourself with a recreational and exciting city trip to Germany's famous metropolis. 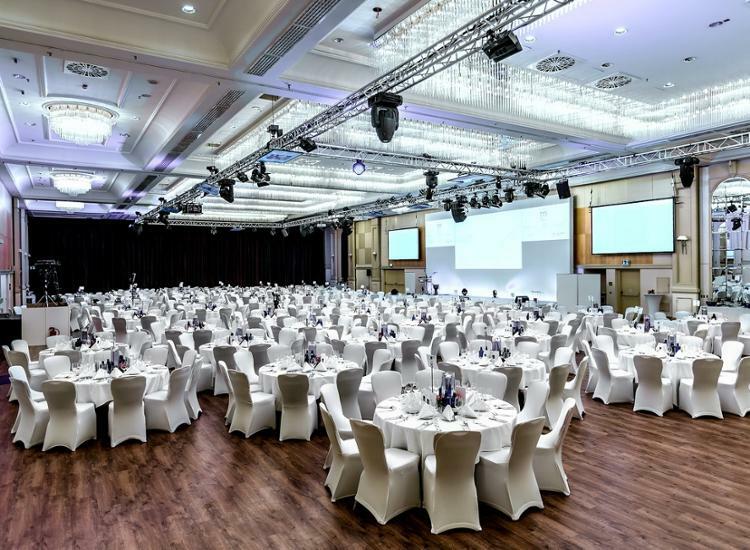 20 % disount on "gourmet dishes" and drinks in the restaurant "MAX"
The Hilton Dusseldorf is a very special accomodation situated in Dusseldorf in a TOP location. Within only a few minutes by car you will get to the old town and the famous shopping mile, the Königsallee. This exclusive hotel is known worldwide for its high standards and attentive service. The rooms are furnished in a very stylish and chic way and feature a minibar (for a charge), tea and coffee making facilities including a kettle, an iron and ironing board, a safe, a direct dial telephone, a clock radio and a flat screen TV. Each room has a private bathroom with toilet, bathtub, hairdryer, toiletries and make-up mirror. 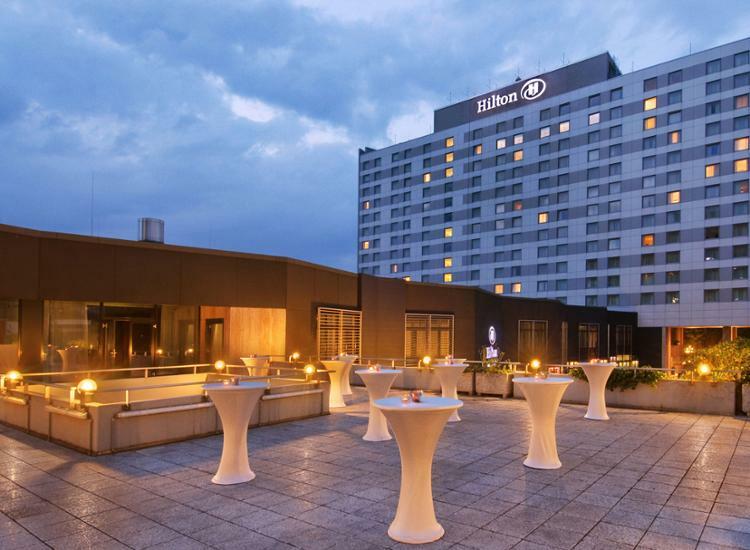 The Hilton has a direct connection to the Messe Düsseldorf, the ESPRIT Arena, the Aquazoo, the main train station and the city center. The Hilton convinces with a tastefully selected interior and highest living comfort. In the hotel's "Fit & Well" area you will find the fitness area as well as massage facilities (appointment and supplement), a Finnish sauna and sanarium. The hotel also offers free parking (on request/subject to availability). 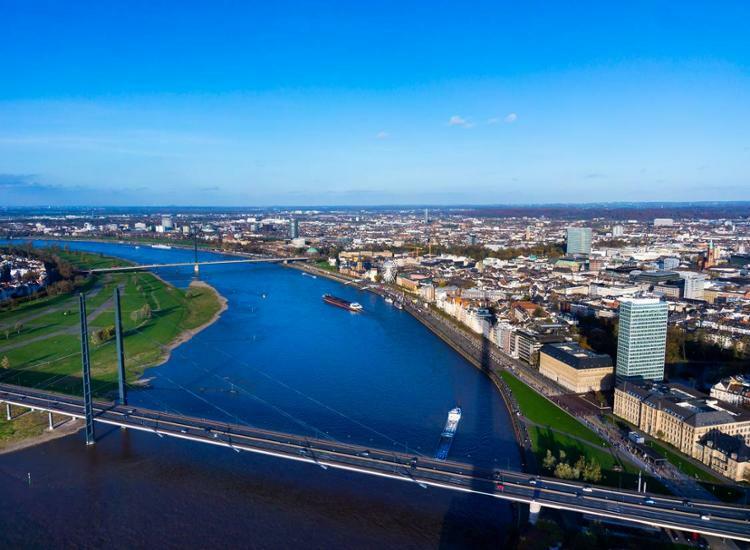 Your city trip to Dusseldorf will be an unforgettable time. You should definitely visit the castle Benrath which is only 13 km from the Hilton Dusseldorf and one of the most popular destinations, not only for culture lovers. 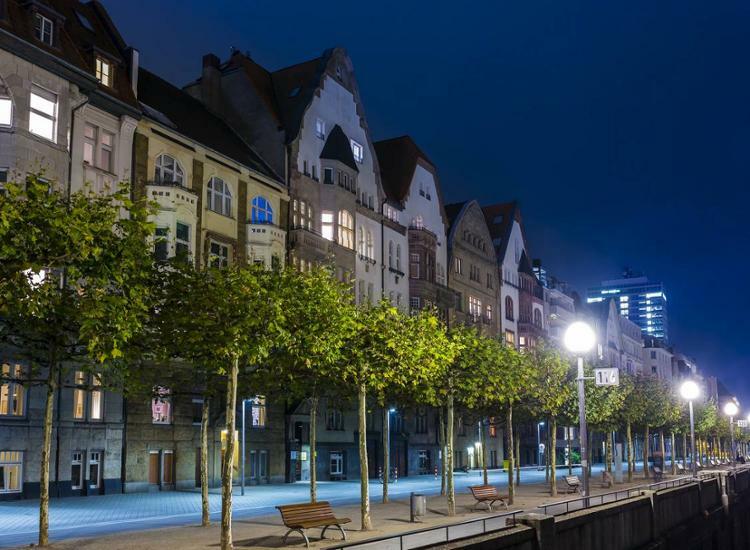 If you want to plunge into the nightlife in the evening, you can explore the old town, also in close proximity, offering plenty of restaurants, bars and pubs - There is a reason why the old town in Dusseldorf is also called "the longest bar in the world". The Rheinpark is only 300 meters away and is well worth a visit. You will definitely find relaxation there. 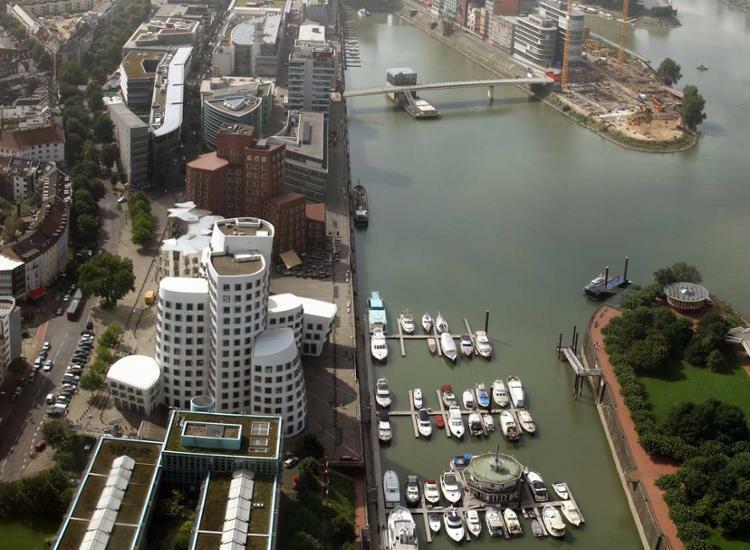 Do not miss a stroll through the modern Medienhafen where many popular companies are based and which is especially well-known for its unusual architecture. You can drive on site on a rickshaw through the Düsseldorfer Medienhafen and the Rheinbogen - A very exciting experience that not only excites couples.